Get competitive quote on outdoor advertising in the Hartford of the West! Des Moines is the largest city in Iowa and a center of business and culture, as well as a fantastic outdoor advertising location. 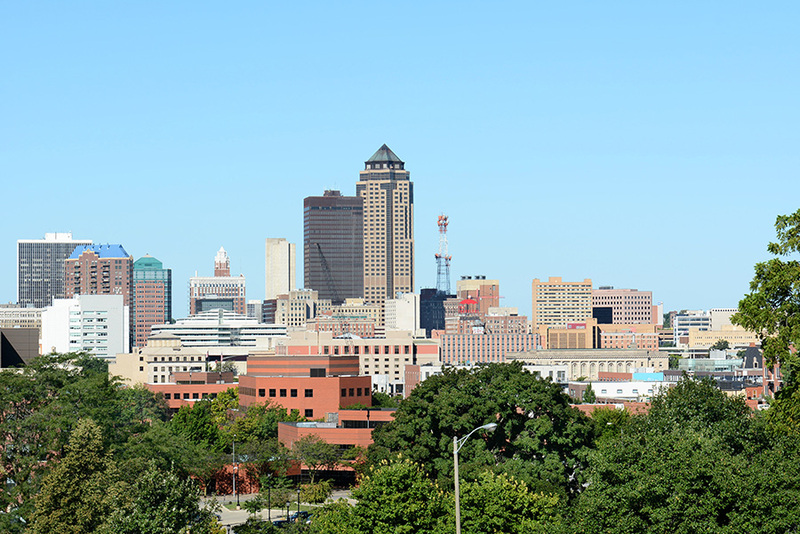 With its four miles of enclosed walkway, Des Moines is one of the most walkable cities in the US. Des Moines is also popular for outdoor recreation thanks to its system of parks and trails, as well as the opportunities the Des Moines River presents. BillboardsIn can help you take advantage of outdoor advertising opportunities throughout the city. Find ad space along the I-235 or US-69 highways that run through the city. Or advertise in downtown Des Moines along busy streets such as the Martin Luther King Jr Parkway, Keosauqua Way or Grand Avenue. Target college students at Drake University, or get your business seen around town using transit advertising options. No matter what you’re looking for, BillboardsIn can help you find the advertising options you need. Choose an ad format below to learn more. Or start browsing the largest outdoor advertising database in the nation to get competitive quotes for your next campaign in Des Moines.